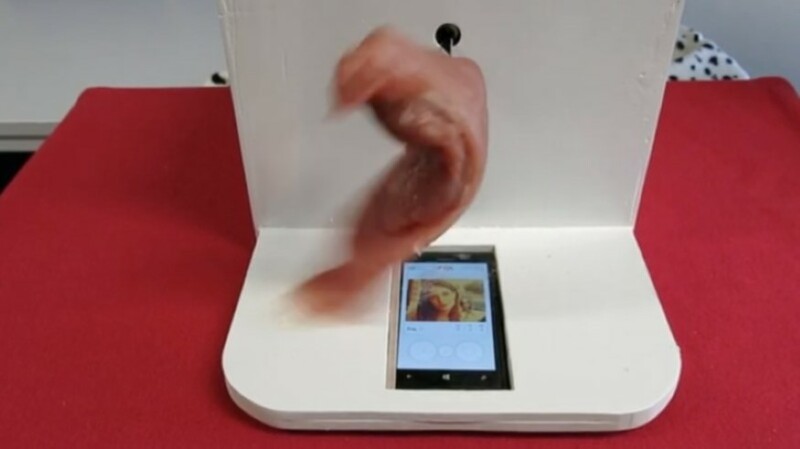 The Tender art installation helps people meat on the popular dating app Tinder. A piece of pork tinderloin swipes every picture of a potential date to the right, aiming to find a soul mate. The installation has gone viral and gathered tens of millions of views on various media. It was featured on Vice, The Daily Mail, Business Insider and many other popular blogs and news sites. In collaboration with Matei Szabo, Cors Brinkman and Marcello Gómez Maureira.